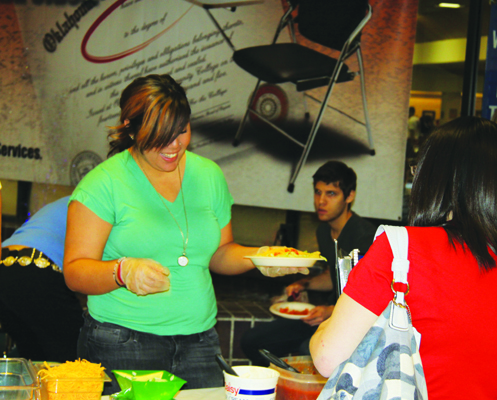 The Native American Student Association hosted an Indian taco sale at noon Tuesday, April 12, to raise money for club activities. An Indian taco is a traditional Native American food made of fry bread, meat, and beans. People can add various condiments such as salsa or vegetables if desired. NASA President Candice Parker said the association is trying to save money for a powwow on campus. “We would need to rent the space, get (gifts) and prize money for the dancers, because it’s a competition.” Parker said.